Today Satoshi Tajiri (45 years old) was a Trending Topic in twitter because somebody tweeted that he has died in Japan’s Earthquake. @NintendoAmerica: Thanks for your concern! 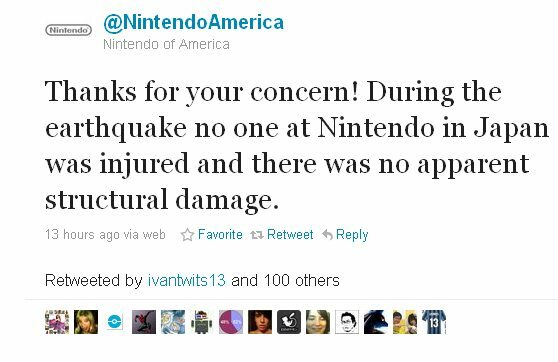 During the earthquake no one at Nintendo in Japan was injured and there was no apparent structural damage.